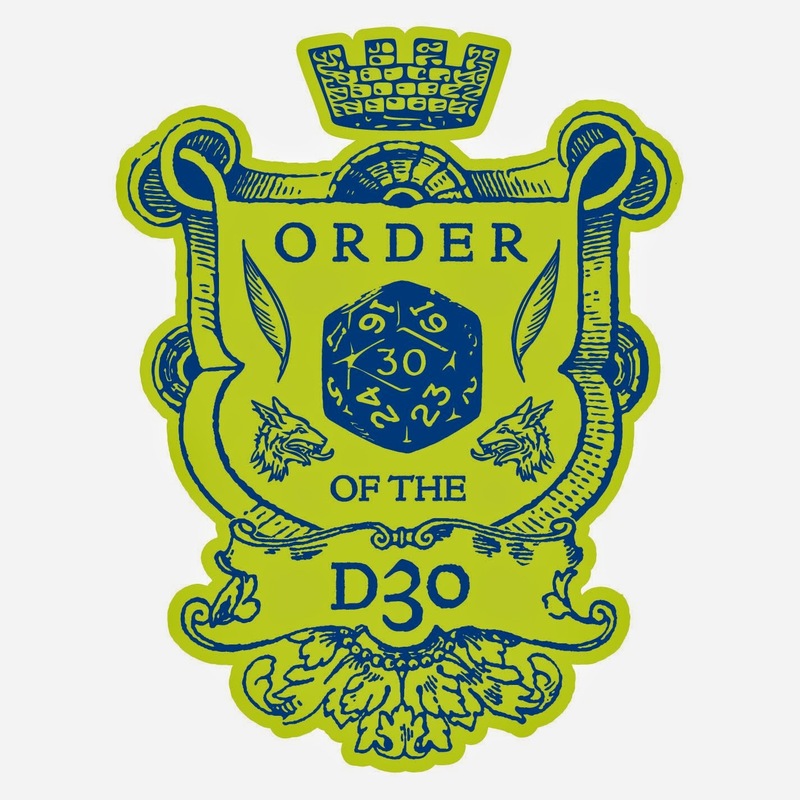 Lulu is having a 20% Off Sale that ends today, and starting Sunday, the print edition of the d30 DM Companion will go to its regular price of $8.95. 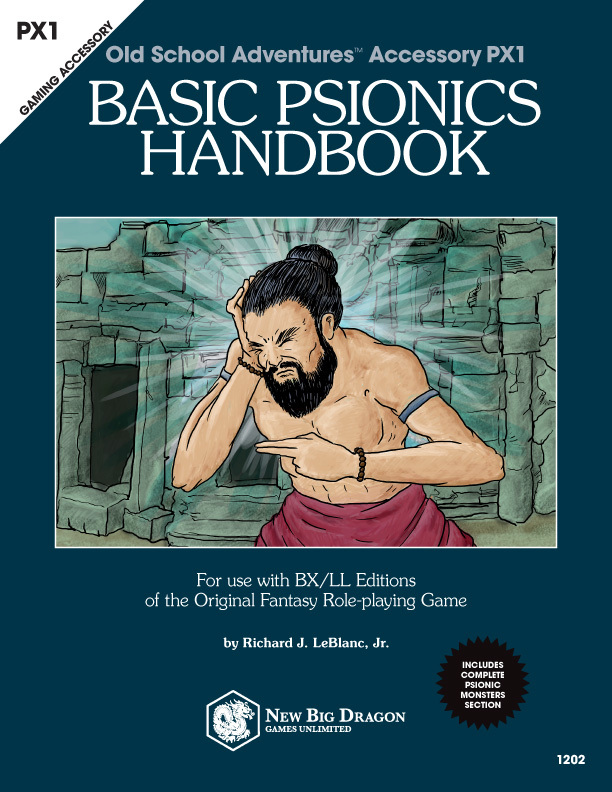 That means today only, you can get the print copy of the d30 DM Companion for just $6.36*. That's just 16¢ over the "at cost" price of the book, and $2.59 off the $8.95 price - a 29% savings! Use the code CHASE (all caps) at checkout. Still trying to decide? The ENTIRE BOOK! is available as part of the Lulu preview of the book! * Does not include shipping charges. Tangleworms appear as tangles of rotting vines but are in actuality 3' long worms that appear in large numbers. In their dormant state (75% chance) they appear simply as a bed of tangled, leafless vines, but in their "awake" state, the tangleworms will still appear as vines, but will seem to be "writhing" as the worms twist and squirm among one another. The true danger of a tangleworm lies in stepping on them (knowingly or accidentally), at which point their natural reaction is to coil themselves around an intruder and contract. In a dense area of tangleworms, one sq. 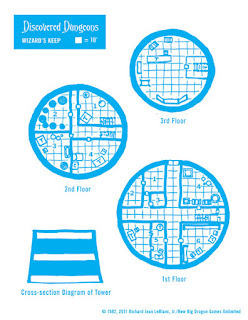 ft. will include (wholly or partially) 3-12 tangleworms, and a light area will include 1-4. For every hit point of the tangleworms in a 1 sq. ft. area (even partially), there is a 5% chance (-5% per pt. 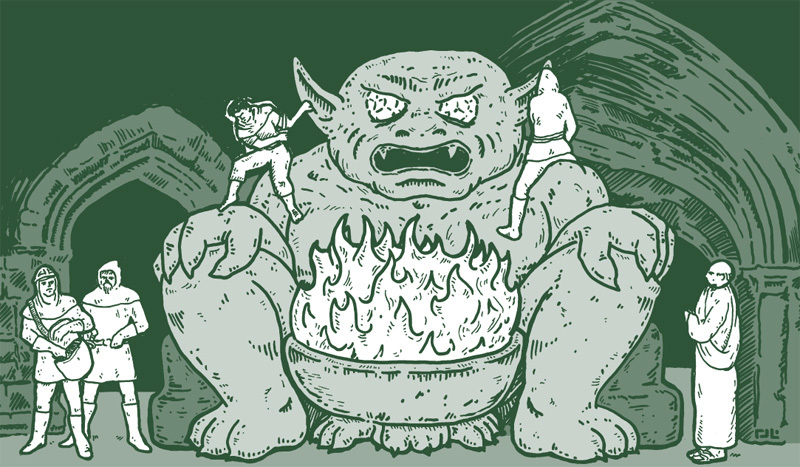 of DEX above 12) that the intruder being grappled will fall, taking 1-4 points of damage, causing tangleworms in the area of the fall to react as the initial grapple. For any victim of a tangleworm attack lying prone on the ground, there is a 5% chance per tangleworm touching the victim that the tangleworms will being to suffocate the victim (killing the victim per normal suffocation rules). I had not originally intended to followup my previous two posts (Scrutinizing the Scroll:" Papyrus, Parchment and Vellum and Scrutinizing the Scroll Part II: Comprehending the Quill) with a third post about pigments and dyes. That being said, I also had no intention of following the original Scrutinizing the Scroll post with an additional post on writing utensils. However, based on speculation on other blogs, as well as the potential for application to game play, it was inevitable. I'm just sorry it took this long to get to it. That may be blasphemous to certain clerics or to those wizardly sorts that think of magic as an art but, when it comes to color, it starts with the science of light. 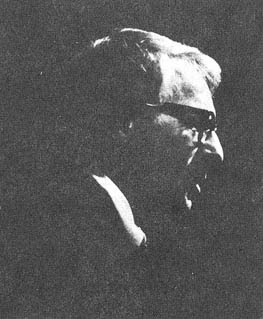 Without getting into a whole discussion of the basic difference between additive color (e.g., TVs, PDAs and computer monitors) and subtractive color (e.g., physically written and printed matter), know that this discussion will be limited to the realm of subtractive color as we are restricting ourselves to a consideration of the written scroll and its game world implications and applications. In subtractive color, certain wavelengths are "removed" from (the total spectrum of visible) light. This is done through the use of pigments and dyes that filter out certain wavelengths to reflect the remaining wavelengths back from the substrate, and allowing those wavelengths back into the eye. So a pigment or dye that appears blue, actually filters out all of the other colors, allowing only the blue wavelengths to enter the eye. (NOTE: fluorescent, phosphorescent, and other forms of luminescent materials actually emit light.) Pigments and dyes are quite similar in the way they react with light (especially in terms of their color properties), but are vastly different in the way they react with the substrate to which they are applied. Simply put, the difference between pigments and dyes as color substances is this: pigments are insoluble and dyes are soluble. For a pigment (as insoluble matter) to be applied to paper, it must be accompanied by a binding agent that will both: A) hold the pigment into a form that can be held/applied, and B) allow the pigment to be held to the writing substrate. Some binders are naturally darker than others (e.g., walnut oil compared to linseed oil), and each has particular way of reacting to temperature—and that's what it all comes down to. Dependent upon the binder being used (and, on occasion, the pigment), the key considerations of clarity, finish, smoothness of application, and so on usually come down to the temperature. How quickly does the oil/fat heat? And to what temperature should it be heated in order to remove the most impurities, most readily incorporate the pigment, best sustain or achieve the desired color, and produce the consistency desired for application? And then there's drying time. Regardless of the method of application (brush, finger, stick, et al. ), because the pigment is insoluble, it must "rest" on the surface of the substrate (paper, papyrus, et al.) Though the oils from the binder may bleed into the substrate and have affinity with it (see "Dyes" below), and some particles of the pigment may stain the substrate, as a whole the pigment does not. Dyes, because they are soluble (unlike pigments), are normally applied in an aqueous solution which may or may not include a mordant (from the Latin "mordere", meaning "to bite) to give it fastness (usually included in dyes used to dye fabrics so the dye doesn't "wash out" from the fibers.) Also because they are soluble, dyes are able to form a bond with the surfaces to which they are applied (having affinity). Whereas the binder acts a "holding agent" for pigments, the aqueous solution acts as a "carrier", bringing it to the surface in a form that will allow the dye to form its bond. Pigments and dyes come from both organic sources (vegetable and animal matter) or inorganic sources (minerals). For the purpose of this discussion, we will use the term "ink" in a broader way than the restricted definition many have for ink (as something you use to write with) vs. paint (which is not something used to write with.) In this discussion, ink is simply a viscous substance (liquid or paste) that holds/carries pigments or dyes and is used to apply coloring/marking to a surface. Regardless of formula, an ink commonly comes down to four components: 1) colorants (pigments and dyes), 2) vehicles (binders/suspenders), 3) additives (to control flow and thickness), and 4) carrier substances (to keep the pigment/dye even distributed in the fluid matrix). Additionally, the additives and/or carrier substances may perform the duty of inhibiting the growth of infectious agents (like mold). Additionally, inks generally fall into four classes: 1) aqueous, 2) liquid, 3) paste, and 4) powder. While the viscosity of an ink will determine whether a quill can be used of if a brush or some other writing utensil (e.g., a stylus) is required, powdered "inks" are much more contemporary and are most commonly found in thermographic printing (you know.. those cheap "raised letter" business cards... yup... that's a powder that's "melted" onto the paper.) Powders, however, may be used as an addition to a written sheet to aid in drying. 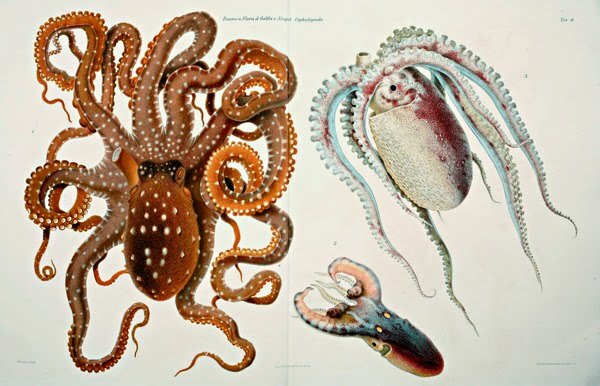 Dyes can often be removed from plant and animal sources by boiling (or capturing/extracting in the case of insect or cephalopod secretions) and pigments are simply ground into a fine powder (putting that stereotypical mortar and pestle to good use). Colors can often be changed, enhanced, and/or synthesized through other means (e.g., interaction with other substances or through exposure to certain temperatures). While pigments are usually much more color-fast (hold their color longer without fading), they can often be more expensive for a couple of reasons: 1) their source (e.g., semi-precious and precious stones and metals) and 2) the quantity of pigment required compared to dyes (which are much easer to "thin" with the use of a carrier.) The strength of a dye can also affect the strength of a scroll's desire effect. For example, a scroll written with a "watered-down" ink may produce a much weaker effect than a scroll written with a deep, rich, "uncut" source ink. What of those pigments and dyes that absorb and re-emit light in the ultraviolet spectrum? Yes, they are invisible to the human eye, but in 1e many creatures are capable of seeing into that spectrum. That "blank" piece of vellum could easily be a True Seeing scroll written in an otherwise "invisible" ink that is easily seen by vision in the ultraviolet spectrum. There is almost no limit to what pigment or dye source can be used to create an ink, or what you can do to it to achieve an effect; just understand the other (non-coloring) components required to create the ink, and that the process by which the ink is applied to the surface (per the Comprehending the Quill post) is dependent upon all the factors discussed above. Now all that's left is to incorporate all of these posts into a game system for creating scrolls. I guess I better get started on that. I picked up a hard copy of DragMag #65 today for a buck and was reading the article The Missing Dragons. It "officially" details the yellow, orange and purple dragons. (The orange and yellow dragons had been covered previously as slightly different iterations in the Leomund's Tiny Hut column in issue 38.) For some reason, I was stumped when I saw that the orange dragon's bite does "2-23" points of damage. And it took me a minute to figure it out. I'm so used to the idea of adding extra points of damage (e.g., 2-7 is rolled as 1d6+1) that I sat there for a moment and thought... "How the hell do I roll 1d22+1?" Once I phrased the question like that, it didn't take long to figure it out. If you haven't figured it out yet, the answer is 3d8-1. I can't say I remember seeing that particular dice indication anywhere else. Huh. Why not just 3d8? Thoughts? As a side note, the orange dragon from issue #38 does only 2d6 bite damage and is 1HD weaker, but is slightly smarter and has a much higher chance of magic use. In the earlier days of this blog (which wasn't so long ago compared to some around these OSR parts), I didn't have too many followers (not that just under 100 is "many", but it is way more than 25.) As such, many of my earliest downloads may have gone unseen by many of you (especially because they are WAY down now in the archive of this blog). 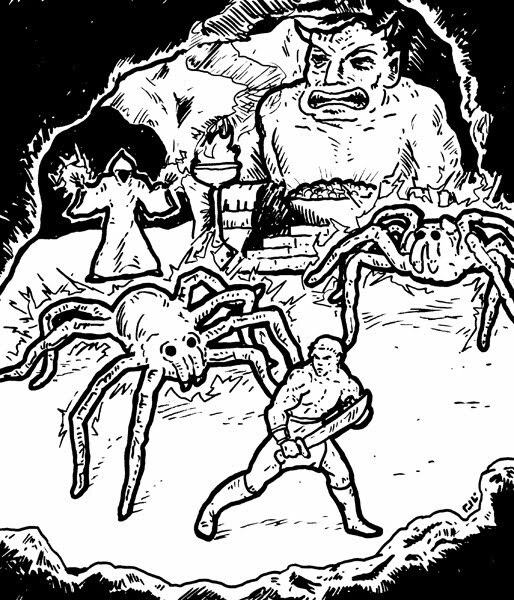 These days, I'm smart with my posting labels (i.e., "keywords"), and my blog is now on the roll of many another blogger, as well as great sites like ADDGrognard's Eternal Keep (and I can never thank him enough for all the work he has and continues to put it into that thing.) That means newer posts get seen by many, and downloads like the Hex Crawl Worksheet can go from 0-60 downloads in a matter of hours. As I've reworked this site (you may have noticed all the new links at the header of this page), there were some old downloads that I've left off the new pages either because A) I just haven't quite figured out where to put them, or B) there's just no room for them... yet. This includes a series I started called "Discovered Dungeons" (one of my earliest starts and abandons on this blog.) I've reposted them here until they find a new home. 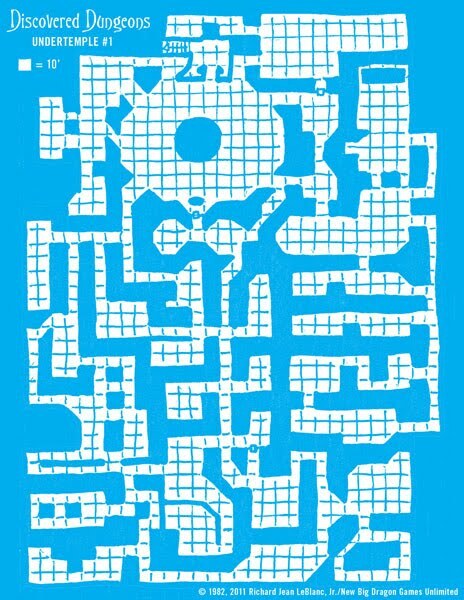 A map I drew in 1981-2. Bone tarantulas are giant spiders covered in blue-black fuzz and they literally crackle with electricity. Bone tarantulas not only generate a great amount of electricity but also spin webs that are extremely conductive. Any creature making direct contact with a bone tarantula or direct contact with a bone tarantula’s web while it is occupied by (or in contact with) a bone tarantula will take 1-4 points of damage for every round the creature remains in contact with the electricity’s source. Should more than one bone tarantula be present in a web at the same time, the amount of electricity conducted by the web is 1-4 points for each of the bone tarantulas in contact with the web. The bite of a bone tarantula is not venomous, but does inject electricity directly into the victim, doing 2-8 points of damage. Bone tarantulas are most often found in cold, dry climates, move twice as fast in web as out, and have infravision to 120’. Inspired by Matthew Schmeer's "The Trouble With Troglodytes" community project over at Rended Press, I've been inspired to start one at these digs as well. Visit the Community Geomorph Project page for the deets. My ADD (not AD&D) seemed to get the better of me again today. 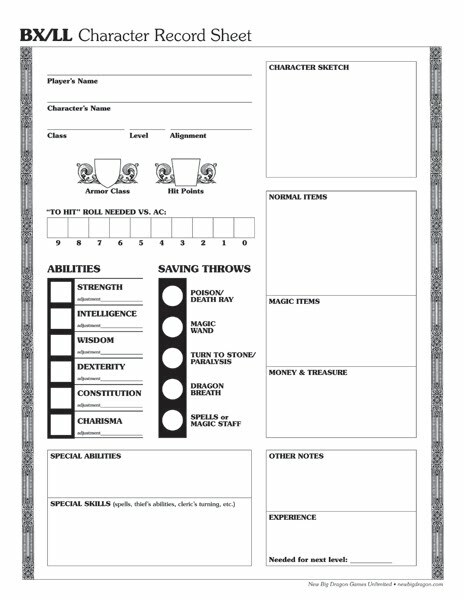 Combine that with some extra time on my hands because my wife decided to sleep in, and you've got this... yet another character record sheet. There's nothing particularly new in the arrangement of the elements or how the elements are treated. But I'm happy with the overall look/design/aesthetics. And you can't argue with free PDFs of CRSs. You may, however, choose to ignore them. yet another free BX/LL CRS PDF. 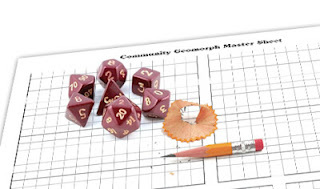 Click here to download today's free PDF of the d30 Hex Terrain Generator from MediaFire. Click here to download a free PDF of the Hex Crawl Worksheet. Yes, I did! I actually got it together! 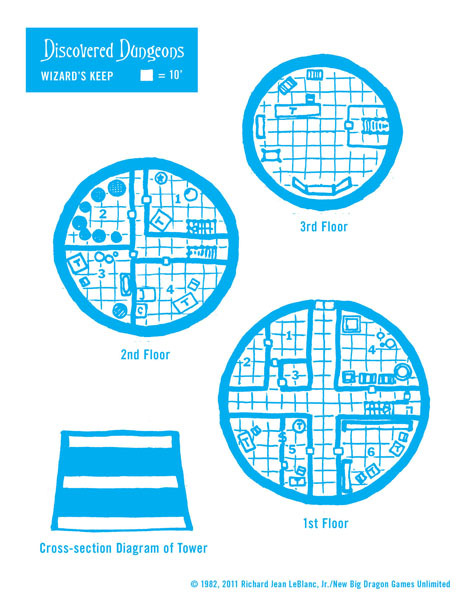 Today's Hex Crawl Week entry includes all the content to accompany yesterday's map. 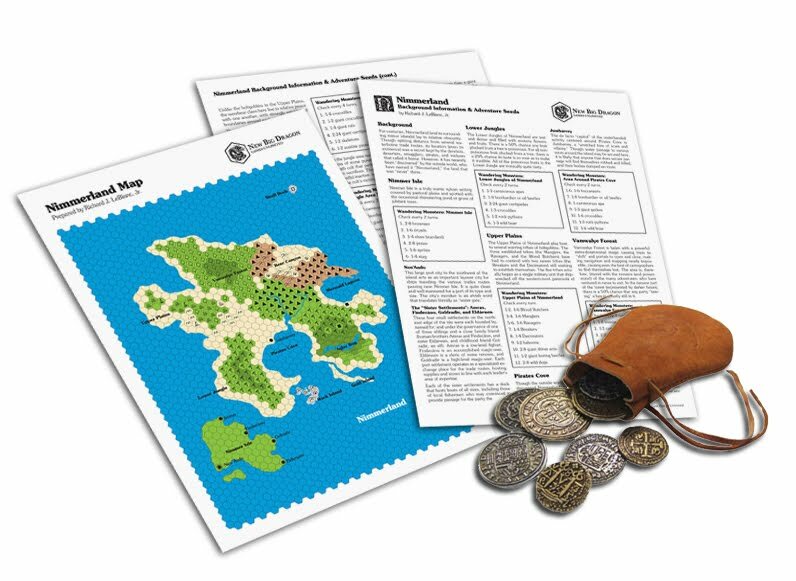 Included are background information, adventure seeds, and wandering monster charts for the following areas: Nimmer Isle, the Lower Jungles, the Upper Plains, Pirates Cove, Vamwalye Forest, Bear Canyon, Mermaid Lagoon, Aglar Bog and the smaller surrounding islands (Rock Island, Gold Island and Skull Rock), with seeds for plenty of possible lairs, caverns and ruins, not to mention a hobgoblin tribal war (albeit a small one). 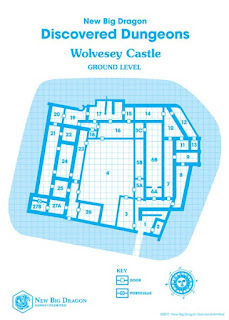 (map not included) from MediaFire. to download it from MediaFire. 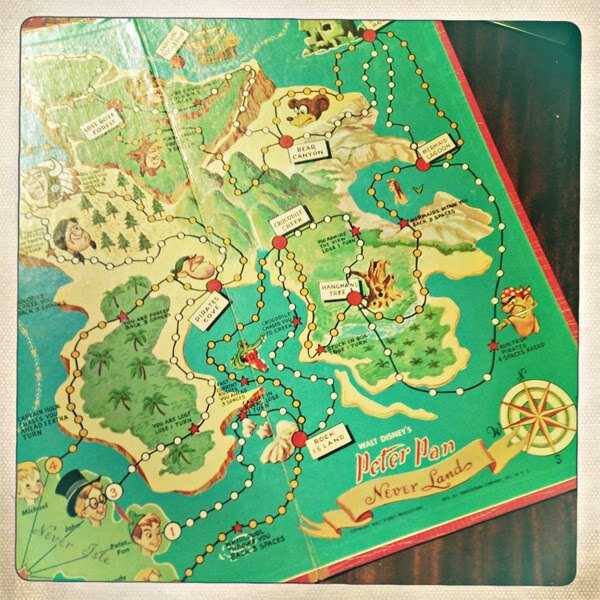 As I mentioned in Sunday's post, I had chance purchase a vintage copy of Peter Pan: A Game of Adventure and, as promised in that post, I've converted it into a hex map ready for crawling. At this point, my intention is to post some basic info on the areas as a download for tomorrow, but work may preclude that. So be forewarned that what was listed for Thursday (in Sunday's post) as "TBD" could easily become "MIA" for a few days. BTW, there are a few jokes in some of the names on the map. But I'm holding those back for now. Map of Nimmerland from MediaFire. Hex Crawl Week Day 2: Oe/1e/BX Stats for 71 Lycans! AN EXHAUSTIVE INDEX OF LYCANTHROPE INFORMATION! I've combed a couple of decades' worth of 1e, 2e and BECMI editions, manuals, appendices, and Drag-mag articles for stats and information on all the lycanthropes I could find, and filled in the blanks with a couple dozen new were-types. 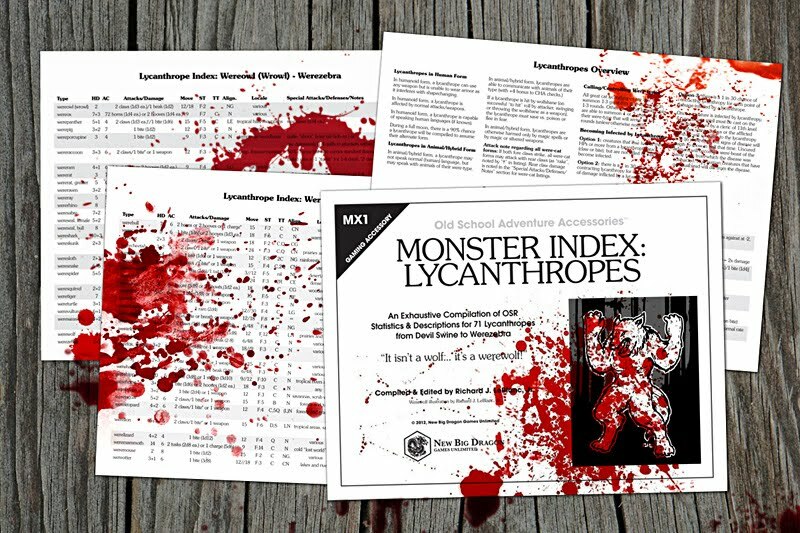 In this 4-page PDF you'll find stats for 71 different lycanthropes, including treasure type, alignment, and locales in which they're found! item MX1, Monster Index: Lycanthropes from MediaFire. This Hex Crawl Worksheet features a letter-sized page with space on the left for 3-hole punching (like the Dungeon Crawl Worksheet), as well as places to note top-level info (scale, region, climate, predominant terrain), list key locations (cities & castles, settlements & strongholds, dungeons & ruins, monster lairs, and miscellaneous locales), and create up to 4 wandering monster charts. I had the opportunity to hit an estate sale Friday where I picked up a couple of vintage games... a 1950s version of Cootie (missing a couple of eyes, but otherwise complete) and Walt Disney's 1953 offering Peter Pan: A Game of Adventure. 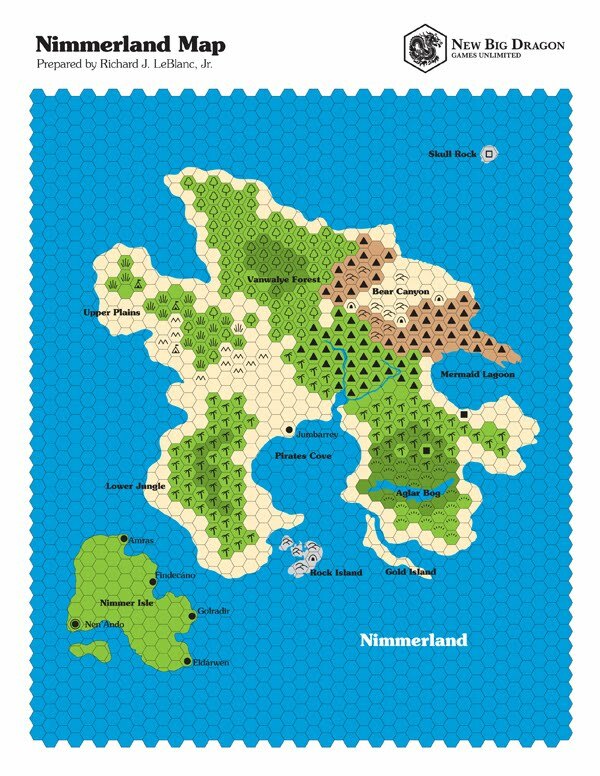 In looking at the game board, it struck me that it was a prime candidate for conversion to a good old-fashion hex-crawl! Who can argue with classic (though cliché) locales like: bear canyon, mermaid lagoon, rock island, pirates cove, skull rock, and hangman's tree? Now, just replace the goofy bears in bear canyon with werebears, turn the indian camp into a tribe of orcs or gnolls or whatever works for you campaign... awwhell, you get the idea. 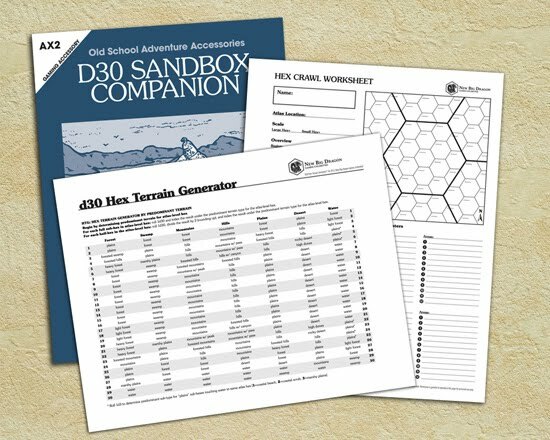 So all that got the creative juices flowing, especially with an eye on the d30 Sandbox Companion. 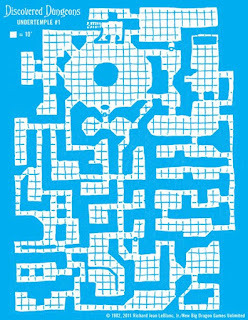 So between a couple of "nothing on TV" nights, plus this incessant ADD (not AD&D), I started cranking all kinds of things out... including a Hex Crawl Worksheet (a sort of sandbox equivalent of the Dungeon Crawl Worksheet), as well as a d30 chart for determining the terrain in the sub-hexes of a domain/atlas-level hex. I figured after the last couple of stinker posts (the pilgrim and language charts were some of my least popular downloads ever! ), it was the least I could do. And seeing as I haven't really done a themed week since Worm Week, I figured it was time again. BE SURE TO VISIT EVERY DAY THIS WEEK FOR A NEW PDF DOWNLOAD! 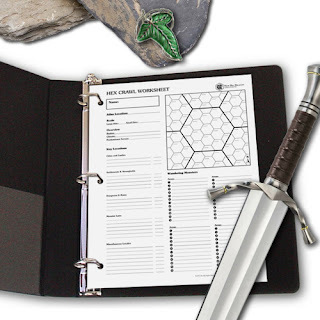 A letter-sized page with space on the left for 3-hole punching (like the Dungeon Crawl Worksheet), as well as places to note top-level info (scale, region, climate, predominant terrain), list key locations (cities & castles, settlements & strongholds, dungeons & ruins, monster lairs, and miscellaneous locales), and create up to 4 wandering monster charts. TUESDAY (New Monster Day): A DEFINITIVE GUIDE TO LYCANTHROPES! Stats for 71 different lycanthropes, including treasure type, alignment, and locales in which they're found! I've combed a couple of decades' worth of 1e, 2e and BECMI editions, manuals, and appendices for stats and information on all the lycanthropes I could find, and filled in the blanks with a couple dozen new were-types. 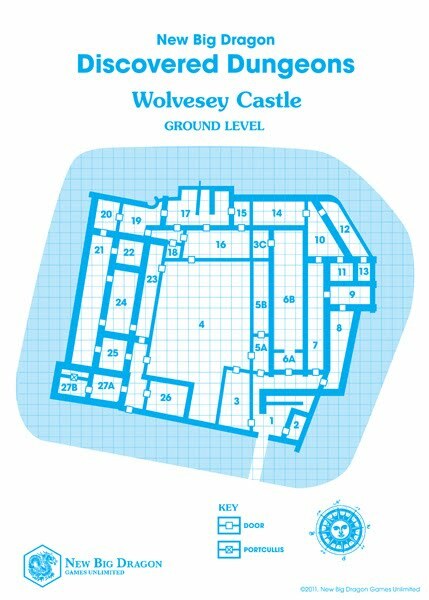 I'd love to finish up a Hex Crawl Master Mapping Key (like the Master Dungeon Mapping Key), but this will depend mostly on work commitments. I'm very disappointed to be missing this year's North Texas RPG Con, especially considering it pretty much in my backyard. But with a trip last weekend to 'Nawlins, my wife's birthday tomorrow, and some work commitments, it just wasn't in the cards (or is that dice?) for this year. However, I was stoked to find out they're doing some live streaming this year, including this afternoon's artist panel with Erol, Jennell, Jeff, Diesel and Jason! 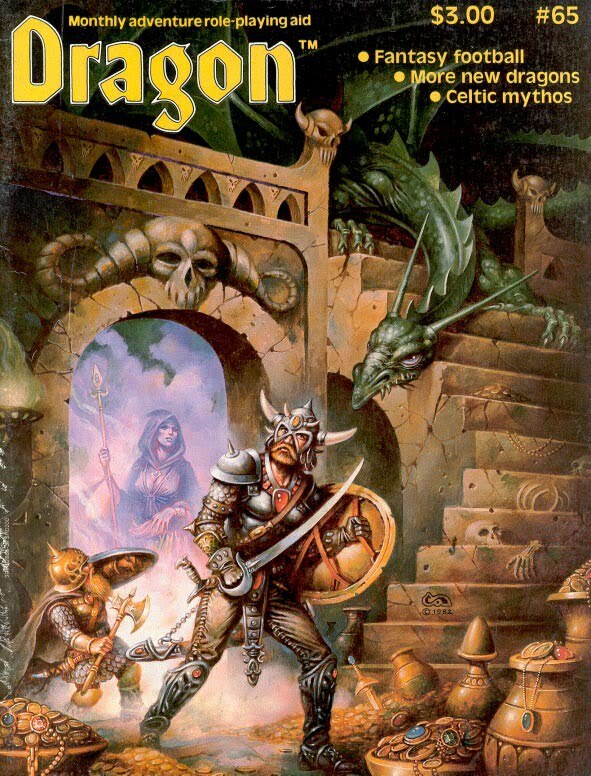 This week's d30 feature comes on the heels of yesterday's free AD&D 1e language crib sheet download, and my note about Jeff Rient's 2008 post on AD&D 1e languages. This determination chart features 11 language groups each containing 10 results. To determine a language, you can either combine any 3 charts that seem to make sense for the character (or NPC or monster or whatever), or use one of the "common combinations" presented at the left of the language groups. 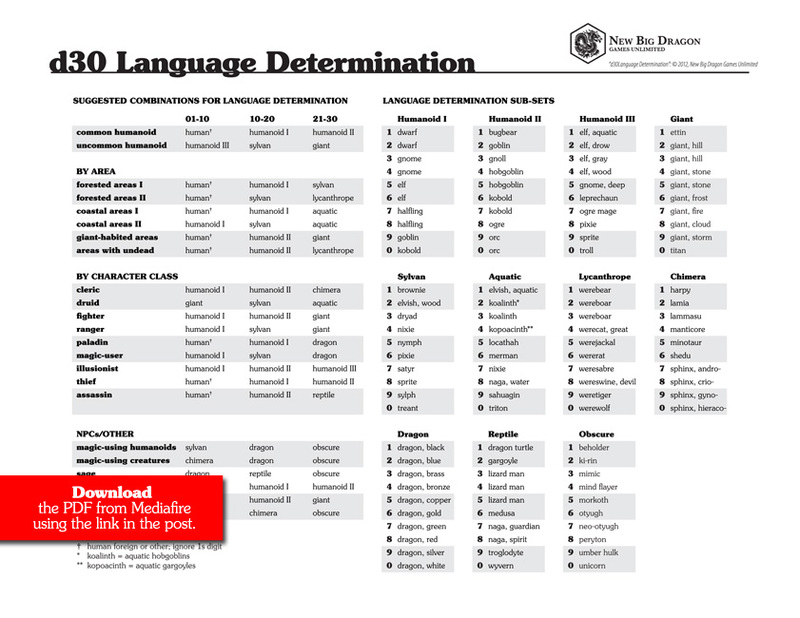 To download a free PDF of this d30 Language Determination chart from MediaFire, click here. While working on tomorrow's d30 feature (a language generator for the Sandbox Companion), I found myself neck-deep in the list of 1e languages, and which races speak which tongues. If not for Jeff's great 2008 article on Languages in AD&D, I definitely would've drowned in a sea of goblish, orcish and alignment languages. 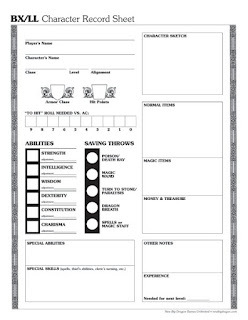 I also got to thinking that this is something players and GMs may not overlook as often if they had a "crib sheet" to quickly reference for "who speaks what" in the game world. So I've created one for the major demi-human and humanoid races. Dwarves (as monster encounters in MM, not per PHB) are the only major race not specifically noted as speaking their alignment tongue. 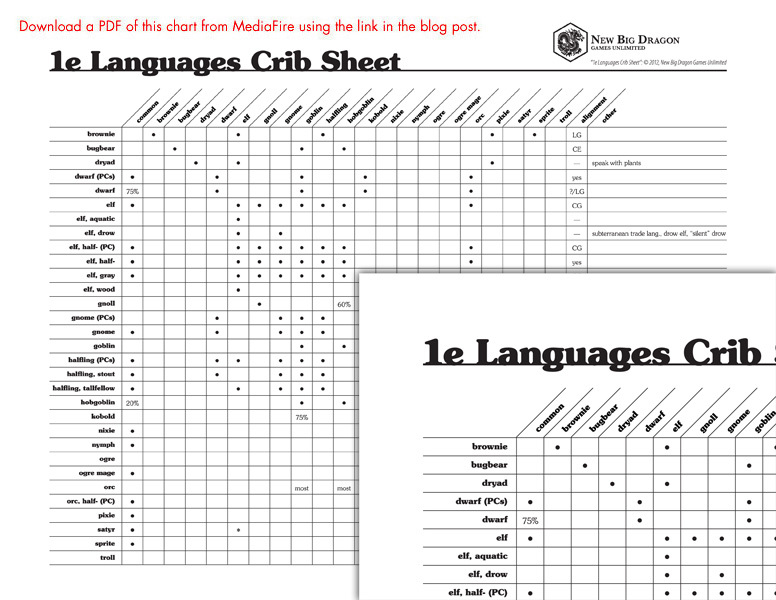 To download a free PDF of this 1e Languages Crib Sheet from MediaFire, click here. 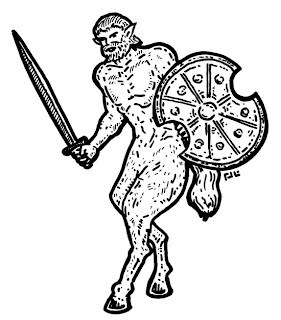 Ipotanes are a race of half-horse, half-humans, related to both satyrs and centaurs. They have an overall human appearance but with the legs, hindquarters, tail, and ears of a horse. Though legend has it ipotanes have been in existence longer than satyrs, they are comparatively rarer. Ipotanes are normally found in forested mountainous areas with temperate climates and mild winters, though they have been known to inhabit flat forested areas in colder climates. 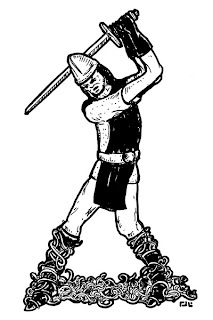 In bands, one-half of the ipotanes encountered will be armed with swords and shields (AC: 4) and the other half will be armed with composite longbows and 10-40 arrows (32” range, 1-6 points damage/attack; AC: 5) and the rest will armed with swords and shields (1-8 points damage/attack; AC: 4). If 10 or more ipotanes are present, one of them will be a leader type, attacking and saving one level higher (HD: 6; saves as 6th-level fighter) armed with a +1 sword (2-9 points of damage/attack) and a shield (AC: 4). Selinian ipotane: Given to excessive drink and celebration, selinian ipotanes are fat, bald and bearded, with long donkey-like ears. All selinian ipotanes are gifted with the ability of prophecy, but are usually too drunk to discern the difference between a true vision and a falsehood (50% chance.) Though they are 5 HD creatures, selinian ipotanes attack as 4 HD creatures and move slightly slower (15”/150”). Additionally, they will rarely carry any money on their person, and in their lair will only possess half the amount of the in-lair treasure of normal ipotanes. Citadel of Blood: An RPG Disguised as a Wargame? Among the motherload of Ares and Space Gamer magazines I bought back in December (you know... the ones that belonged to Roger E. Moore), was the magazine pictured on the right of the image at the left. Ares magazine no. 5, with the game Citadel of Blood tucked in the middle of its pages. Well, I seem to hit another motherload last weekend in the backroom at HPB... 40 cardboard boxes, each containing an average of 10 boxed wargames. Yes! I searched through about 400 different wargames, most of which were historical in nature (not my cup of grog.) When it comes to these types of games, I'm strictly a fantasy/sci-fi guy. So in addition to picking up the boxed version of Citadel of Blood (on left in picture), I picked up Worldkiller and Rescue from the Hive. Citadel of Blood is pretty cool, and I'd be hard-pressed to do a better job of describing the game than this overview at gamersalliance.com. 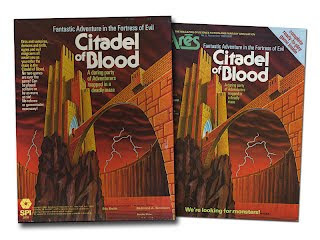 The real potential for Citadel of Blood, though, is that on some level it can operate at a skeletal RPG system that supports solitaire play. Look for an update on this baby once I've had a chance to run it through a few times, including group and solitaire play. I'm going to let you know outright today's d30 download is far from perfect. Don't get me wrong... IMHO, it's a vast improvement over the number of rolls it takes (per 1e MM) to generate a group of pilgrims. The downside is, the process is so laborious and roll intensive, I'm having trouble getting it all to one page. Let's start with the good news... the number of rolls is significantly reduced! • Alignment, presence of monks, and presence of magic-users is now 1 roll (instead of 3). • Size of group and whether it's mounted is now 1 roll (instead of 2). • Number of clerics by level is now 1 roll (instead of 3). • The presence and number of fighters and thieves is now 1 roll (instead of potentially 4 rolls). • Also, I'm afraid the chart for # of fighters/thieves may be a tad confusing. So here's my question... Does anyone actually ever use bands of pilgrims in their game? 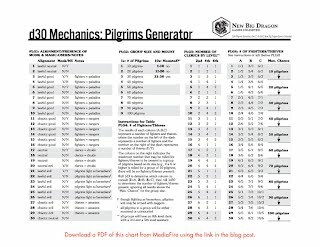 To download a free PDF of this d30 Pilgrims Generator from MediaFire, click here.